If you’re trying to crack how to make money dropshipping, you’re in the right place! This lesson’s length is about to achieve EPIC proportions, and the last thing I want to do is prolong it unnecessarily with a “hypey” introduction. I think the content of this lesson speaks for itself. I’m not trying to “sell” you any of these tools. 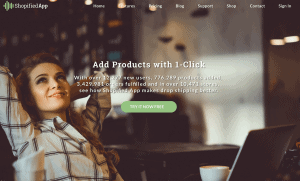 There are a handful of affiliate links in the message below, but all of these are tools that I use everyday in my own eCommerce business to make money dropshipping. You can “cut me out” by going directly to the source, if you prefer (you’ll pay the same price). But I’m not going to waste any of your time pitching or “selling” to you — all of these tools/resources will pay for themselves 10x over if you stick with eCommerce and “crack” it using the training below. I use them and they save me a ton of time. I think anyone entering this industry should do the same — that’s as “pitchy” as I’m going to get. If you’ve never done most of this, just reading through this guide isn’t going to make any sense. It’s going to come off as really abstract, overwhelming crap that your brain has no idea how to visualize or interpret. So I strongly recommend following along with each step, taking action and interacting with the sites/resources as they’re discussed in this tutorial. With this in mind, it could take you a few days to work your way through this whole guide — and that’s fine. This should take some time. It’ll be the foundation of your entire eCommerce business. You want a niche with at least 10 million people internationally — even more is better (we’ll cover how to find this out in the next step). Ideally, you also want your audience to be somewhat passion-charged. The lowest-hanging fruit in eCommerce/dropshipping is impulse buys, so the more excited they get over the items in your store, the better. We’ll really sink our teeth into picking products later, but for now, let’s talk a little bit about audience research. If you’re struggling to come up with ideas for a niche that meets the two criteria above, just jump into this step and start playing around. If you keep the criteria from Step 1 in mind, a lot will start to “click”. I recommend narrowing the “region” down to a 1st-world country where most of its citizens can afford to shop online (no offense intended, but your store is going to flop without people that can afford your products). 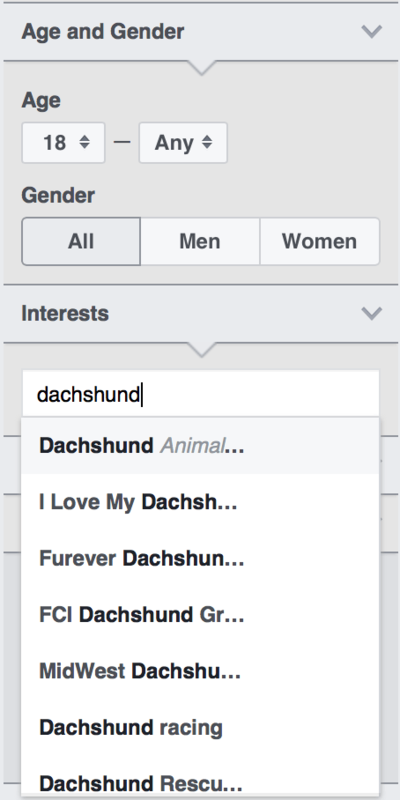 Then I’d start typing in popular Facebook pages in my targeted niche, in the “interests” field on the left. Don’t have a niche yet? 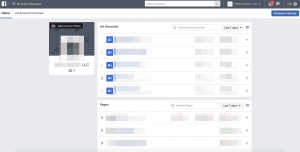 Just input one of YOUR favorite Facebook pages and start looking at the top categories, top “liked” pages, etc. 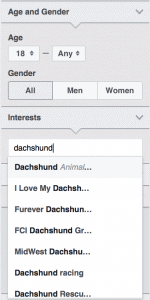 You can even narrow it down further by adding other Facebook pages to the “interests” section, and likely begin finding some popular niche stores in the top 20-30 “Page Likes” section. These niche stores can be golden when you find them. 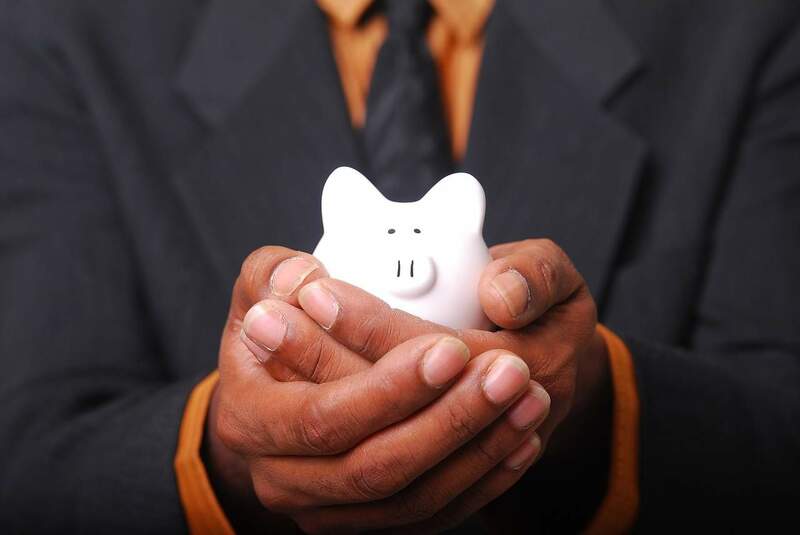 They provide key insights like what’s selling, what price points you should aim for, etc. That should get the niche ideas flowing. Remember — you want it to be able to combine enough of these interests around the world to reach an audience of AT LEAST 10,000,000 people. I’d recommend building out a spreadsheet of at least 5-7 broad interest groups (like those listed above) each with 5-10 interests in the rows below. So in the end, you should have a total of 25-70 different interests and pages. 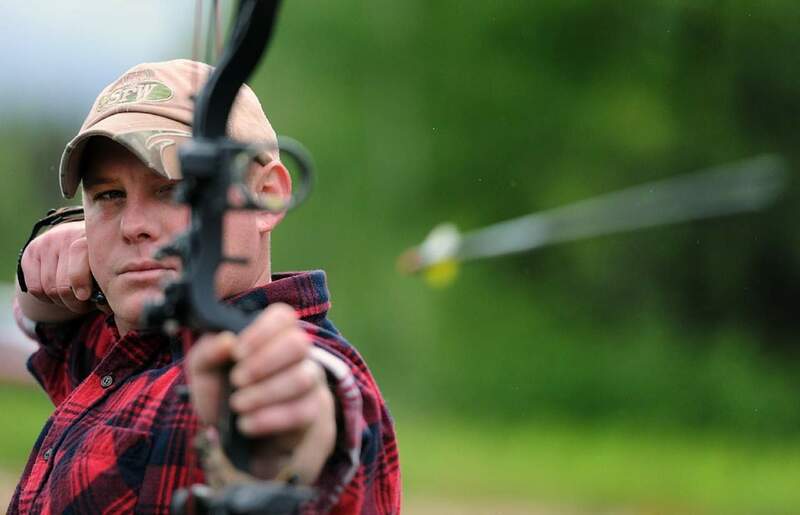 Save this spreadsheet somewhere — you’ll use this for ad targeting later. There are a lot of ways to build an eCommerce store — WordPress, WooCommerce, BigCommerce, Magento, and countless others. None of them make it as quick and easy to make money dropshipping than Shopify. Create a Shopify account (the first 14 days are free, so make the most of them) and, just like anything else, start playing around with it to learn the ropes. Setup the general navigation and “feel” of your store — we’ll worry about the rest a couple of steps from now. This is the tool you’ll use to import products to your store from AliExpress (detailed later) AND fulfill your dropshipped orders with just a couple of clicks. These are apps that connect directly to your Shopify store. 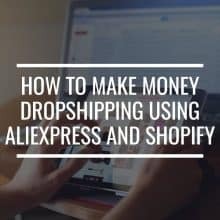 I’ve noticed that a lot of people talking about how to make money dropshipping discuss Oberlo, but not Dropified. Dropified is a bit newer, which I think is part of the reason it’s not discussed as much, but I think it’s largely due to a lot of people in this industry regurgitating what others are saying instead of “cracking the code” and making money dropshipping themselves. Everyone I know making money dropshipping is using Dropified these days. Although Oberlo was recently purchased by Shopify, so hopefully it will compete more in the coming weeks. I’ve used them both. I started off using Oberlo and later transitioned to Dropified (it’s a pain to transition, but it was worth it). Dropified is a hell of a lot faster, more robust, and rolls out new features MUCH more often than Oberlo. We’ll dig into using these during Step 6. This is where you’ll source your products from, at least to begin. 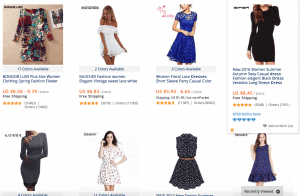 Anything you find on AliExpress can be imported to your store and fulfilled with two clicks using the Dropified or Oberlo plugin. It’s a massive collection of incredibly cheap products shipped directly from China. If you play around with it for more than a few minutes, you’ll discover really quickly: we’re paying a hefty markup for almost everything we buy as consumers — almost everything is imported from China. AliExpress gives us direct access to the same manufacturers that many multimillion-dollar retailers use. Now you can benefit from the markup of really cheap Chinese goods, too. This is how most dropshipping are earning income and building their businesses. These are NOT all crap quality — we’ll talk about how to ensure you’re sourcing high-quality goods in the next step. If you fail to satisfy ANY of the points above, you’re starting the race by shooting yourself in the foot. It’s going to be difficult making money dropshipping with products that don’t meet these criteria. Play around with all kinds of search terms — shirts, jewelry, bags, accessories, pants, dresses, shoes, sunglasses, gadgets, etc. It’s as easy as “NICHE shirts”, “NICHE blouses”, “NICHE accessories”, etc… A small tweak to a search term can pop up TOTALLY different results on AliExpress. It can take several hours to hunt down 4-5 REALLY good products. Take your time here — this will be one of the biggest factors that determines your success or failure. As you search on AliExpress, always click the option at the top of the search results to sort by “Orders”. This will sort the most-frequently-ordered items to the top of the search results, which is helpful, but there’s more to ensuring your products are high quality. I personally only import items to my store that have at least 100 reviews/ratings and 4.3+ stars. That narrows down your options a lot, I know, but it also SIGNIFICANTLY decreases the customer service burden you’ll face once you start getting a lot of orders. Once you sort by orders and see the “cream” rise to the top, it’s basically up to your judgement to pick ones that you think will sell. Import the ones that you think will sell using Dropified or Oberlo (those are non-affiliate links to tutorials about how to do this step-by-step with each app). Remember that you need to mark each of these items up by at least $20 to make money dropshipping after your advertising expenses and item cost. I’ve sold dresses, that I purchased for $20, for $40-$50 and they still seemed like a “steal” to the customer, so my impulse buys were through the roof (and so were my profits). I’ve also tested shirts that I got for $5 and had to sell for at least $25, and as a result, they didn’t sell very well at all (low perceived value). I prefer to stick to items that I can mark up $20 – $30 and they still have a “perceived value” by the consumer to be a total bargain. You get a “feel” for this over time, but just keep it in mind as you’re picking products to import to your store. Nobody knows what’s going to sell for sure when they enter a niche — it’s a guessing game for us all. Don’t be discouraged by this. After you have 4-5 products that meet all of the above criteria, it’s time to launch some tests! This is really straightforward. You can launch your test campaigns from your personal Facebook account, but it’s best practice to open a business account first. This will allow you to run ads to multiple niche stores over time in an organized way. Again, not totally required, but it’s free and takes less than five minutes, so why not? This is where everything from the steps above starts coming together. Create ad groups based on your interest groups from earlier. I usually organize my Facebook ads with the product at the campaign level, interest groups at the ad group level, and different creatives (images/text) at the ad level. If that doesn’t make sense in concept as you’re reading it, it will make more sense as you start building out your ad campaigns. A lot of people advise launching ad sets at $5/day budgets each, and testing for 5-7 days. I prefer to launch my ad sets at $10/day each, and test for 3 days. I get data faster this way, rather than having to wait for a week until my next move. I typically only launch website conversion ads, optimized for purchase. This is personal preference and the “big guns” do A LOT more than that — but I’ve found this to be the best place to start. 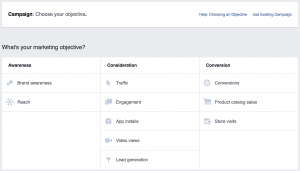 After all, when launching ads to make sales, do you want Facebook to optimize for how many people “like” your ad, or how many people actually follow-through and purchase? 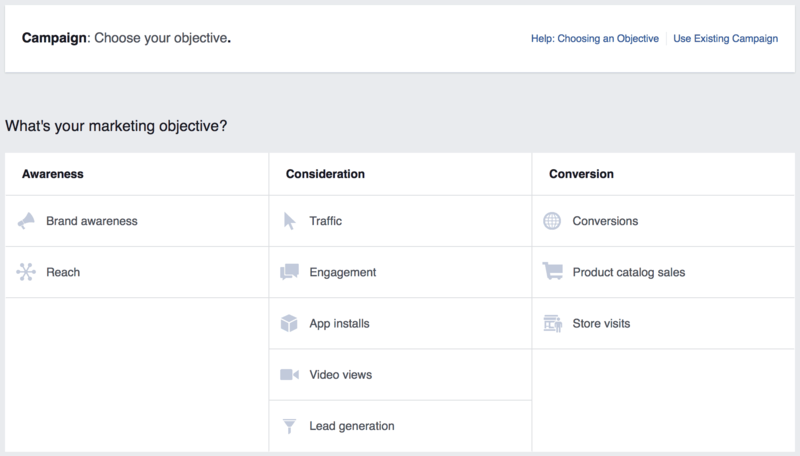 This is done at the campaign level when Facebook prompts you to select what your “goal” is with the advertising campaign. You select “conversions”, and then towards the top of of the “ad set” settings, you select “purchase” as the conversion action you want to track. 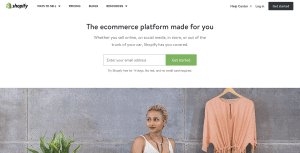 This will require you to setup your tracking pixel in Shopify. This can be done REALLY easily using an app like Trackify (the one I use personally) or you can look up how to do it manually — there are a lot of free tutorials in Shopify’s help section and videos on YouTube. “Do you <3 NICHE? Then you’re going to LOVE this ITEM. It’s not the best ad copy, but it’s good enough for testing. Tweak and play around with it however you’d like. In total, when launching a new site, I usually run 15-25 ad sets at $10/day each. So about $150-$250/day during my initial tests. Then I wait. 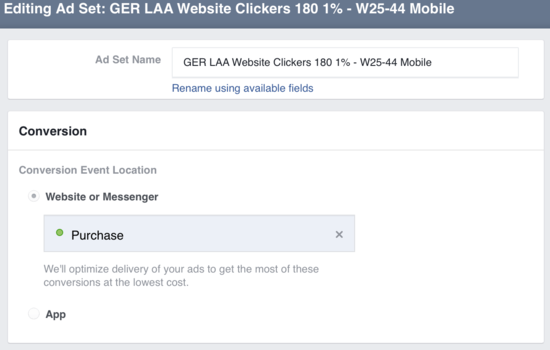 There are a lot of other helpful metrics in FB’s ad platform, like how many adds to cart each ad set received, how much your CPC for ALL actions were (clicked on your photo, reacted to your video, etc. ), how many people watched more than 75% of a video ad, etc… But the ones above are the most critical. Based on these metrics, you can get a pretty good idea of what combinations are working. At its core, the key to making money in eCommerece is presenting the right product to the right audience at the right price. If have profitable ad sets after the first 2-3 days, it means you’ve gotten the right product to the right audience at the right price. Find more people like them to scale your profitable ad sets. After three days, I cut all ad sets that aren’t at least breaking even (5-7 days if you’re only testing at $5 per ad set). If I don’t have ANY profitable or break-even ad sets after my initial tests, I’ll pick 3-4 more products as well as new interest groups. Then I’ll run a combination of these new products/interests groups for three days. If I go through all of that three times and STILL can’t find any profitable combinations, I personally move onto a new niche and start over from square 1. I’ve got a dud. There’s no way to tell without having access to the data in YOUR ad account. You’ve either not tested enough, or you’ve chosen a bad niche, non-enticing products, a bad price, or you’re delivering ads to the wrong audience. Simple as that — it’s on YOU to test until you figure out which it is. Don’t worry if you don’t “nail it” the first time. You can’t learn how to make money dropshipping without “cracking a few eggs”! Well… yes and no. This is the “meat” of my eCommerce business, which profited more than the average American’s annual salary over the last six months. But all of that stuff can be found elsewhere online for free… You just have to search a little. THIS is the “core”. Everything else you can find through Shopify’s help center, Dropified/Oberlo’s resources, simply using Google and YouTube, or by reading through a few really helpful eCommerce groups. If you do some focused searching and keep up with those Facebook groups, there is A LOT of gold in each of them — some of it better than you’d find in any several-hundred-dollar training product. It just requires the time and effort to sift through it all. That’s EXACTLY How to Make Money Dropshipping! There will always be more to learn in this industry, just like any other. You’re setting out on a several-month-long journey. If you find a profitable (or even break-even) niche, you’ll likely want to start learning more about look-alike audiences (abbreviated LAAs and LLAs, depending on the person), how to hire virtual assistants to help with your order fulfillment and customer service (that can eat up entire days QUICKLY if you’re doing any sort of volume), etc. But this lesson was intended to give you a comprehensive start, and I can’t emphasize strongly enough (and I say this humbly) — it absolutely achieves that purpose. This is everything that gave me initial success in eCommerce — the rest an be filled in along the way. This is also, by far, the longest lesson that I’ve ever published on this site. 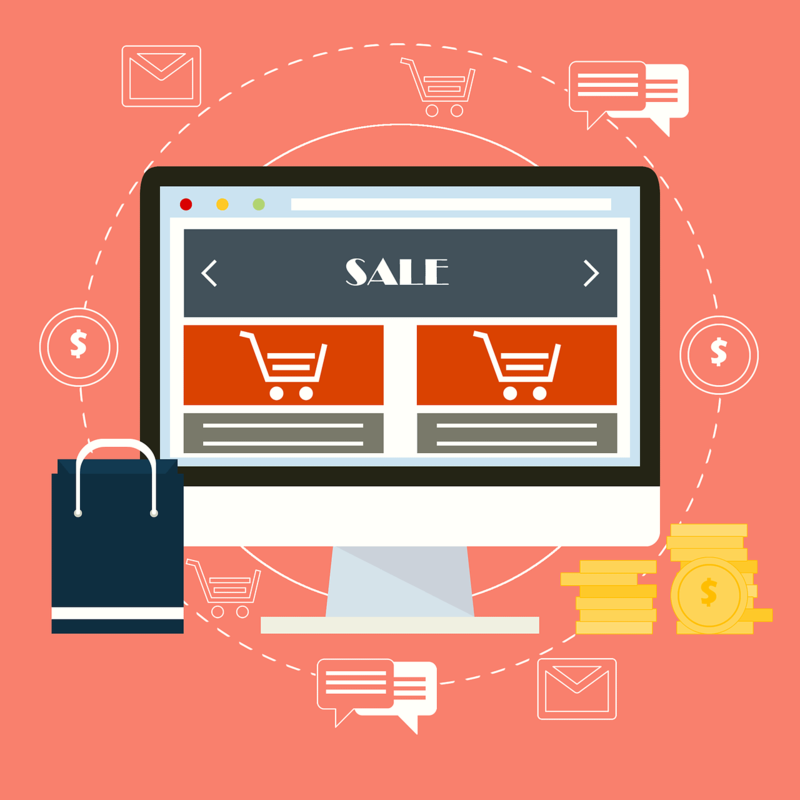 You are officially taking your first steps toward running a successful eCommerce business. I sincerely hope you’ve found this training as helpful as I intended, as I sit here typing it. Request access to the Facebook groups above and most importantly TAKE ACTION — don’t let this become just another lesson that sits in your bookmarks folder collecting dust. 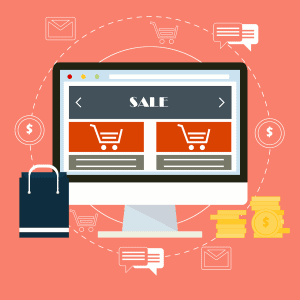 eCommerce can quite possibly change your life and be the path to achieving your dreams — you just need to bite the bullet and not be afraid of getting overwhelmed, making mistakes, and losing a bit of money along the way. That’s just the price of admission. Best of luck, and I’ll be seeing you around my favorite eCommerce Facebook groups soon! P.S. I usually put together awesome bonuses for people that sign up for premium tools/training using my affiliate links. This time, frankly — I’ve just laid it all out there from the very beginning. I didn’t hold anything back in this lesson. If you DO decide to pursue a business in this industry based on the information above, the kindest “thank you” you can send me is using my Shopify, Dropified, and Oberlo affiliate links from this lesson when you sign up. You don’t have to, of course, but I would greatly appreciate if you supported me and my website by doing so! I’ve actually wanted to ask you this ever since you mentioned dropshipping. Here’s a question, how do you gain a competitive edge over other people withwho dropship? You all sell the same stuff from the same people, and there’s no such thing as geographical limitations when it comes to ecommerce. If you don’t have any intellectual property or white labeling, it can be tough. Essentially you’re still competing against them, you’re just looking for really “hot” products that people will impulse-buy, and showing that product to an audience that nobody else has “tapped out” yet. The earlier you find that product in its lifecycle, the better. Because once it’s “made its way around”, it can be very hard to find a target audience that will actually make a purchase when they see your ads. So dropshipping, when dealing with really mainstream audiences or products, comes down to product-to-audience fit and timing. Even though it may have been longest training on your site to date, it was VERY succinct! I have been floating around so many Shopify videos on YouTube, Facebook groups, and many other places for months now. I wish I had ended up on your site first! Great advice! Is it possible to drop ship without having to buy the product and still make a profit? Or must you buy the product first? Thanks Ibrahim! Glad you found it helpful! Just came across this post and it definitely contains some value, but I think you’ve been a little misinformed on the whole niche store fallacy. I’d be happy to share with you how to make the big money as you seem like a genuine guy. I’d love to hear from you, Brian! Drop me a message at ian@stoppingscams.com when you get the chance! Would like to know if we create a shopify website if we can still sell over our own products + products that we can outsource in dropshipping! Yes, you can absolutely sell both. Interesting read. What are your thoughts on having multiple stores versus having one store with multiple collections? Opening more stores for a unique niche costs more to run (monthly fees). It depends on your preference. More sites = more logistics and more headaches. I’ve always preferred fewer sites making larger amounts of money than more sites making less money. Both have their headaches, but I’ll take the “fewer websites” headaches any day over constantly feeling like I’m running from project-to-project. I’m sorry Brad, could you rephrase that? I don’t understand the comment. You need to be signed into your Facebook account for it to work. Facebook makes it impossible to navigate to this page if you’re not logged in. That’s not on my side and shouldn’t reflect on my credibility — that’s something Facebook controls. Hello I’m thinking of starting a smart watch niche dropship company and just don’t know where to start and don’t want to lose hundreds of dollars due to uneducated decisions do you think this niche could be profitable and using aliexpress Can I find smart watches that don’t look like complete junk? I’m not sure. All of my exposure to complex technology like that on AliX has been that the software within the hardware is TERRIBLE. There may be better options out there than I’m aware of — you’ll just have to purchase them and find out for yourself! This guide is awesome Ian, thank you very much for putting it together! I’m planning to go into Dropshipping and want an edge over my competitors. Since I own a video creation company, I’m planning to create well written and produced video ads for all the products I sell. Do you think this would give me an edge? ABSOLUTELY!! This is a HUGE advantage that many of the most successful eCom business owners leverage. It’s well-known in the industry that video, when done correctly, is VERY effective on Facebook. Thank you for the great article! I just started dropshipping using Shopify, but how do you overcome the time it takes to ship the items from AliX? I feel that the long shipping times may keep my customers from purchasing through my website. I just fully disclose it multiple times throughout the purchase process (in the product description, listed as part of the shipping description at checkout, in the website’s Shipping Policies, etc.). It can definitely discourage purchasing and cause some customer service issues, but if you have a very compelling product and a well-trained customer service VA, the inconveniences can be minimized while still moving a lot of inventory. Thank you for the guide. I’m kinda interested in doing this too, but I’m still feeling things up for now. I’m thinking of specializing in pet supplies, which is already a busy industry, but to target the retiree in the 60s+ as they would have more money to spend and an inclination to spend it on their pets as they mostly got no more kids to pamper. FB Audience Insight of this demographic in US, Canada, and several European countries said there is 20m new audience interested in pets and Purchase tab said about 58% focused on pet supplies. Do you think this is viable? The only way to know for sure is to test. I’d be interested to know how that goes, as I don’t think older target audiences are as likely to purchase online. But again, there’s no way to know for sure without testing — it could definitely be viable, or it might not be! It’s not so much about “pretty” as it’s about “effective”. I’ve seen very minimalistic (but clean and easy to navigate) stores that do six figures revenue per month. What works in some target audiences/niches won’t work at all in others. Again, it comes down to testing. I’ve had very simple product image ads do very well, and I’ve had gorgeous graphics fall totally flat and not convert at all. Let the data do the talking. Which one? There are like 15 links in this post. how much was your investment on FB ads for your first successful drop-shipping website to get orders flow in? thanks! Surprisingly, my first site was profitable from day 1 (I can’t remember exactly — probably only $70 – $80 in ad spend from that first day). But I’ve been in internet marketing a long time, combined with getting lucky on my first niche pick. I’ve launched others since then, and have never had any profitable from day 1 since then. I usually have to spend $1000 – $1500 on testing before things begin getting “dialed in”. Nice post, very helpful. There are a lot of posts out there claiming dropshipping is already saturated. What’s your take on this? I don’t think it’s too saturated to break through, but you definitely shouldn’t be pursuing this business model with less than $5K to $10K you can afford to lose during ad testing. Your affiliate links aren’t working for me. I really appreciate your help giving this out to the public. I am so tired of ppl scamming others. You are truly trying to help those that have no clue. Hey Adlena! Which links aren’t working for you? Really appreciate the great job you are doing. Of all the different path to making money online, E commerce is the one that interests me the most. Don’t you have video trainings for this like you have for production of content. Unfortunately, no. Although the content creation methods I teach would work VERY well for an eCommerce store as well, I don’t not currently have any eCommerce-specific training. A great FREE ton of valuable information. I have had some success on the internet and paid some big money to learn things. I am interested in starting a dropshiping business as well from Puerto Rico where I plan to live in retirement soon. One downside to that plan is a) the reliability of the power grid currently which can go down for several hours even when the weather is not bad….and somewhat related to that is the availability of reliable high speed internet outside of the 4 major cities on the island. Up until 2020…the Puerto Rican government has Act 20 and Act 22 which incentivises the development of e-commerce businesses by only charging 4% on profits and on investment capital gains thus increasing the profitability of the business. The worldwide market is still accessible from there but right now it’s not 100% reliable from a technological or infrastructure perspective. There are some potential solutions but they require investment in off grid solar or wind and sattellite internetal access. Your thoughts or anyone’s else’s experience? I always just hid them/banned the user from the page. You want to be careful how often you do that, though — now it can hurt your reputation/standing with Facebook. It doesn’t happen as often as one might expect, though.